The upgrade from cyclone alert to cyclone warning has prompted the Disaster Management Council, DISMAC to activate all its emergency operation centres in the western division. A gale warning is now in force for Yasawa Mamanuca groups, Western half of Vitilevu, Vatulele, Beqa, Kadavu and nearby smaller islands while a tropical cyclone warning remains in force for the rest of Fiji. A strong wind warning also remains in force for the Fiji group. THE people of Rabi have been given new insights into herbal medicine. More than 60 islanders have been involved in a workshop on herbal remedies, courtesty of Rakiraki Hospital. Rabi Council of Leaders official Mialere Simoteo said hospital staff staff have been teaching the people the types of treatment and the right foods for good health. The Banaban Trust Fund Board is seeking applications from suitably qualified candidates for the position of Administration Manager. • Good communication and writing skills. A TEAM from the Library Services of Fiji is in the Northern Division carrying out an audit of library resources distributed under the Government's library services. The audit assesses the progress of the mini libraries program set up by library services in four communities early this year. Now to the remarkable tale of a Hawksbill turtle that was tagged in Vanuatu and swam more than 2-thousand kilometres to Brooms Head in northern New South Wales on Australia's east coast . . . only to die shortly afterwards. Andrew Lugg is the area manager for the National Parks and Wildlife Service in Grafton near where the turtle was found. The only Pacific Island country with an official fashion week is Fiji. This year was the third time the event was held, and it attracted a lot of attention - even a camera crew from the international tv station, Fashion TV. Now it's organiser - Ellen Whippy-Knight - wants to follow up that success with a South Pacific Fashion Week with talent from across the region. Two years after it was first introduced, New Zealand's seasonal worker scheme has exceeded expectations. Not only have participating Pacific Islanders seen their household incomes increase by 30 percent, but growers have benefited too, with a steady flow of reliable and affordable labourers. But just across the Tasman in Australia, a similar pilot scheme has failed to get off the ground. Inhabitants of the Rabi Island in Fiji don’t seem to be very much keen on buying handicraft work; therefore marketing these products has become a real challenge for the women's association. 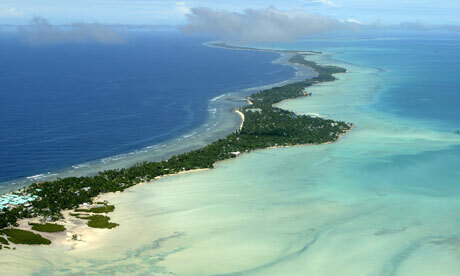 WELLINGTON, Nov 10, 2010 (AFP) - The president of Kiribati has said the low-lying Pacific nation must begin planning to relocate its population in case global warming causes sea levels to rise and swamp the country. 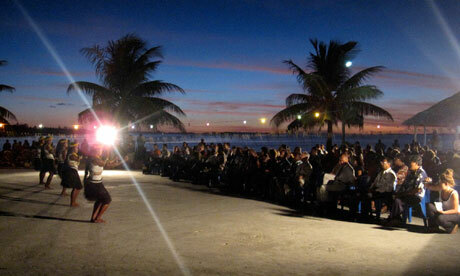 Exposing the talent and skills of women on Rabi Island is the aim of the Banaban Women’s Organisation. Organisation president Terikano Takesau says the women on the island are talented but are challenged with limited market opportunities. Children from an island school in the North are reliving the history of their ancestors through their traditional songs and dances. Students of the Banaban District School on Rabi Island now perform traditional dances and songs that tell the stories of their past. BANABAN women displayed handicrafts and island products during an exhibition help in conjuction with the Fiji National Outtrigger Paddling Regatta in Savusavu this weekend. The products also included virgin coconut oil and lotion. President of Banaban Women's Organisation Terikano Takesau, said the project promoted economic development initiatives taken up by the island's women. Rabi islanders are proud of their traditional canoes which they still use today as a mean of their livelihood. They continue to use canoes for fishing in a bid to keep their culture alive. More than 50 Rabi islanders who are Banaban descendants spent the Diwali long weekend in Savusavu. They were part of the three-day Consort Outrigger Regatta. It was a weekend full of fun, paddling and sailing competitions at the infamous Savusavu Harbour. WOMEN should be encouraged to help support their family by getting involved in an income generating activity. RABI Island brought two of its traditional canoes across to Savusavu in the bid to keep their culture alive.